The spider may not be your favorite creature to look at, but you have to admit they are fascinating. There is no shortage of wonderful facts about them that get them noticed either. All spiders have 8 legs. They arthropods. Spiders spin webs that they use to catch food in. They have glands that make silk. They are the largest order of Arachnids. Antarctica is the only continent in the world where you can’t find spiders. Most spiders don’t live in the bodies of water, only a few species. They are able to live in all other types of habitat. There has only been one species identified as vegetarian the rest are all predators: Bagheera kiplingi. Most spiders feature 4 sets of eyes. The pattern of how they are arranged though will depend on the species. In some species, males are often much smaller than the females in size. The number of eggs a female delivers can be up to 3,000. Arachnophobia is the fear of Spiders. It is one of the most common fears in the world. It affects approximately 10% of men and 50% of women. The severity of the fear can vary. The largest spider is the Giant Bird Eating Spider and the Huntsman spider is the world’s largest spider by leg-span. The smallest spider is the Patu digua endemic to Colombia. The strongest material in the world is considered the silk that Spiders create. Scientists haven’t been able to recreate this design even with all the technology we have today. Humans continue to pollute the environment due to toxins from insecticides to kill Spiders. The Brazilian wandering spider or Banana spider, is the most poisonous of all Spiders. The blood of a Spider is light blue in color. The stickiness of a Spider web makes it hard to keep dust and particles out. This is why they are continually being rebuilt. Spider’s molt which is the process of shedding skin and growing new in its place. 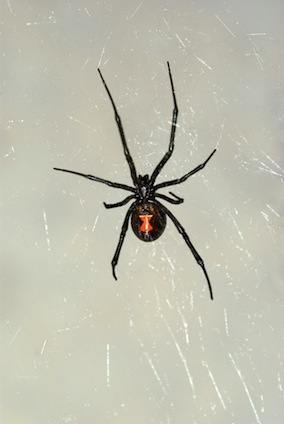 Spiders are nearsighted so they aren’t able to see items that are far away from them. Hydraulic power is what allows the Spider to move around, they don’t have muscles in their limbs. When a Spider is moving there are always 4 legs on the surface and 4 off of it. Spiderman is one of the most popular super heroes. This is also one of the few times that movies have portrayed the Spider positively other than in Charlottes Web. Very few people die or become seriously ill from Spider bites. Yet there is enough media attention surrounding them when it does occur that it creates a frenzy. Spiders help the environment by eliminating volumes of insects that would otherwise be around in your garden and other locations. When a Spider is going to make a new web, they roll the old one up first into a ball. Many species will eat it. They extract juices from their body onto it so that it will be liquefied.